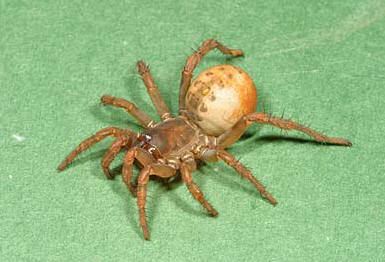 Description: Female Ryuthela secundaria from Okinawa. The color of the abdomen is unusual. Permission: permission kindly granted by author.